Is It Possible To Lower High Blood Pressure Without Medication? Three out of four Americans don’t take their heart medications as prescribed. Why not? Well, let’s be honest: keeping track of pills on a daily basis is a major headache for most of us. Yet people who don’t take their blood pressure medications have a FOUR TIMES higher risk of dying from a stroke. Yikes. But what’s the alternative? What can you do if you don’t want to rely solely on medication? We’ve known for a while that losing weight, exercising and cutting out smoking can lower blood pressure, but often these lifestyle modifications aren’t enough. Once you’re at the point where you need medication to manage your issue, you can typically expect to be on those pills for the long haul. That’s where a new research study at Columbia University comes in. 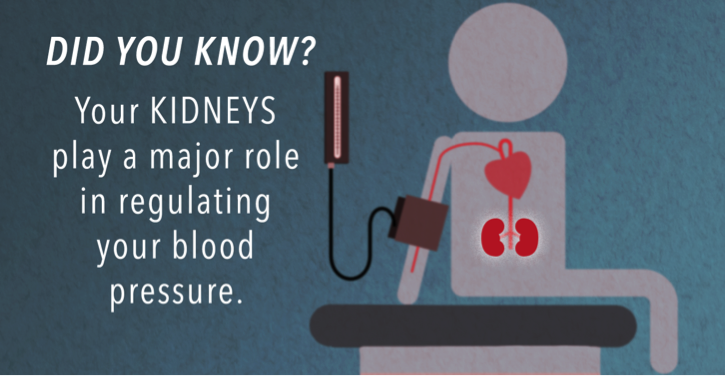 The study aims to evaluate an investigational technology involving the kidneys. Why the kidneys? They actually play an important role in regulating your blood pressure. They send out signals that can make your pressure go up or down. When these signals become overactive, the result is a high blood pressure problem. Some of those daily blood pressure pills work by blocking these signals, but a new technique called Renal Denervation directly turns them down by disrupting them at their source: the renal (kidney) nerves that send them out, potentially reducing the need for medications to control blood pressure. The REINFORCE study is looking for participants who are between the ages of 18 and 75, take two or fewer blood pressure medications and have high blood pressure ranging from 140 and 180 depending on how many medications they take. You may qualify even if you aren’t currently on blood pressure medication. If you are interested in learning about the research, visit the Center for Interventional Vascular Therapy, call 212-342-5128 or email Matthew Brinkman, Clinical Research Coordinator at mb3006@cumc.columbia.edu.